MX Nano OSD is the smallest and lightest OSD on market in the world. Needs no extra soldering trouble, it is plug and play. 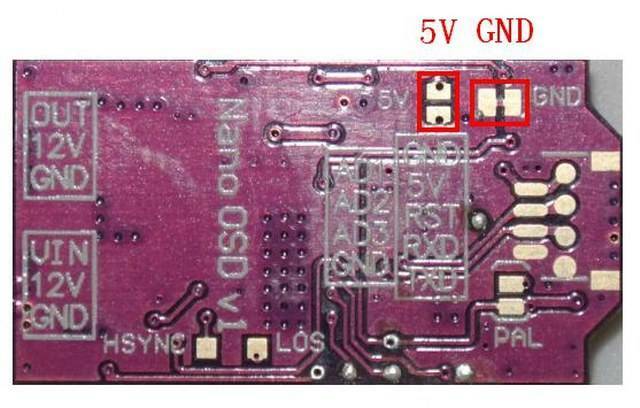 It has two independent hardware parts for power: one is 5.0V for getting power for digital circuit of ATMEGA and OSD through FTDI port or other 5.0V power; The other is 5.0V from micro DC/DC regulated circuit getting power through video output for power supplying OSD analog circuit part. 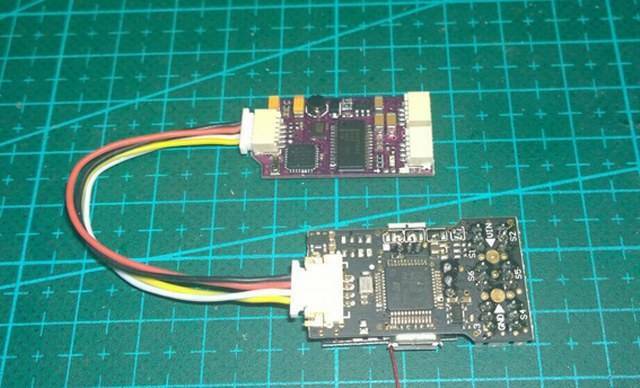 Besides, MX Nano OSD is compatible with the firmware of MnimOSD and KVTEAMOSD. 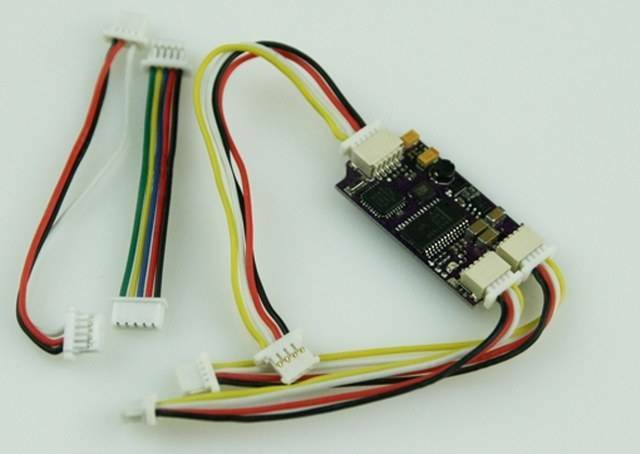 Power supply for ATMEGA & OSD digital circuit part and OSD analog circuit part is from FTDI connector 5.0V: The labeled “GND” and “” soldering points are short-circuited, the labeled “5V” and “12V” soldering points are disconnected. *Default: the power supply is from FTDI connector 5.0V! *Forbidden: short circuit the two soldering points“” and “5V”at the same time! MX Nano OSD can figure out the camera video format automatically. 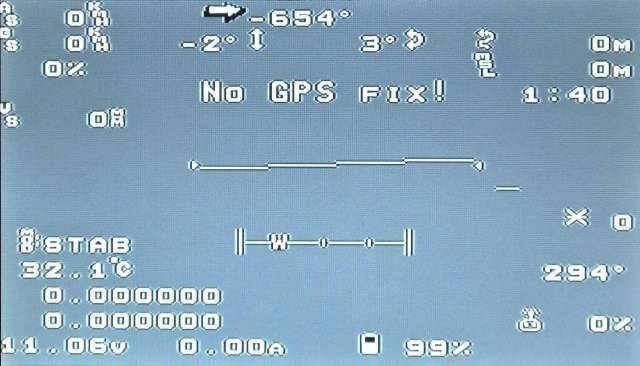 If there is no camera is connected, customer can find the PAL soldering point from the back of the board and select the output format of no camera. Default is N, the PAL soldering point is the PAL output exactly. , connect RX, please don’t connect the TX. 4) When you are using MX Nano OSD, please power camera or OSD and camera are powered at the same time, otherwise the format can’t be figured and no image on the monitor or no information from OSD.